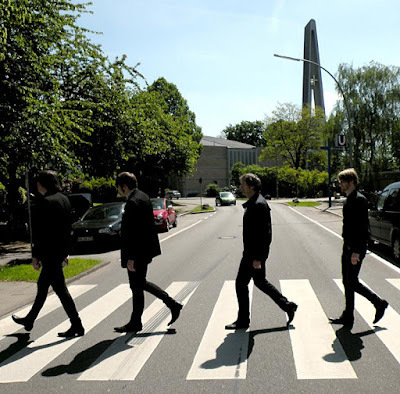 Hamburg's The Wrong Society have been going from strength to strength the last couple of years, with a bunch of live shows throughout 2014 & 2015, plus their great self-released 7" earlier in 2015 not too mention a previous tape and 7" released in 2014. 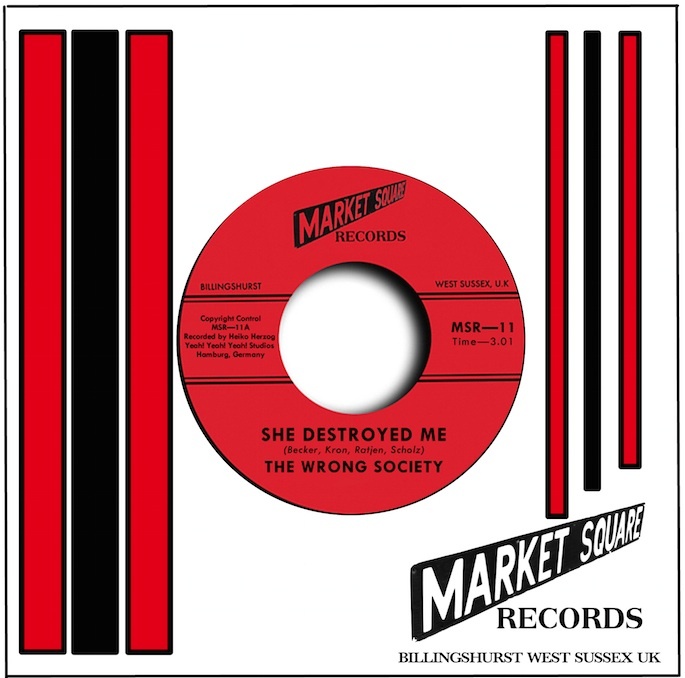 Market Square are pleased to be releasing the third The Wrong Society 45, not only are the guys' friends and fans of mine, they're also great at making moody garage songs. this two-sider features two-moody garage cuts. The punker a-side 'She Destroyed Me' follows in the 60s garage tradition of the girl done me wrong theme, but unlike many other neo-garage bands that attempt to make music with this theme, The Wrong Society do it in a way which is believable, they MEAN IT. Kai Becker the band's frontman, seems to also get a great tone out of his Vox Teardrop guitar, the song snakes along menacingly with bass and drums driving the song, there is something quite German about this, it recalls 60s German garage bands like The Guards, some great organ playing and guitar work weaves throughout the song too, making this a top a-side choice. The flip 'Without You' is a killer song, the guys tap into the New England teen scene sound really well here, there is a real innocent vibe about this song and I really dig it, the lyrics are genius, full of teen style angst and abandon and naive genius "when I see a pretty girl, it makes me feel sad" brilliant!!!! Check out The Wrong Society on Facebook.